nani innovative creations private limited is a newly incorporated start up marketing company in telangana. We need marketing managers and sales managers to make awareness and sales of our products . We assign employee to work in his own respective mandals , which he need to make an order of sales through direct apporach of customer or retailer or any middlemen, need to reach the target in monthly basis which ever is assigned to him/her , no need to visit office , no timings full-pledged work with promotion of products to make sales.........! 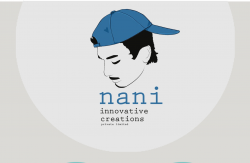 nani innovative creations private limited is a newly incorporated start up marketing company in telangana.